Madame Sew-and-Sew: A Prize for my First Follower! A Prize for my First Follower! How excited I was when I saw that someone actually followed my posts! So, I am giving a very special prize to this brave girl -- she will be the proud recipient of a made-to-measure Snow White costume! That's right, my only follower is my daughter, who admitted that she is only following my posts to see the mean things that I write about her. 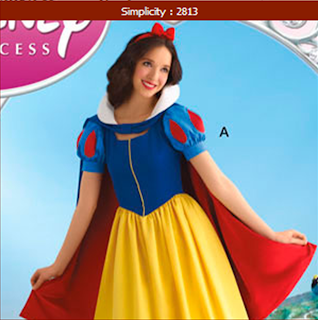 Yes, I am taking a break from SWAP to make a Snow White costume. I know it's not Halloween and no, we're not planning a trip to Disneyland. She was asked to play Snow White for a local event in which the author of one of her favorite childhood book series (Sisters Grimm) is participating. She was so excited about the opportunity that I hated to burst her bubble by saying "not unless they are providing a costume." Who could deny the fairest of them all? I was shocked to see that Simplicity has an adult pattern. 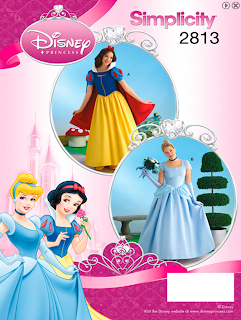 My first thought was that we'd make a blue bodice and put it over a quick yellow circle skirt -- which probably would be quicker than this -- but S2813 does look exactly like the character. 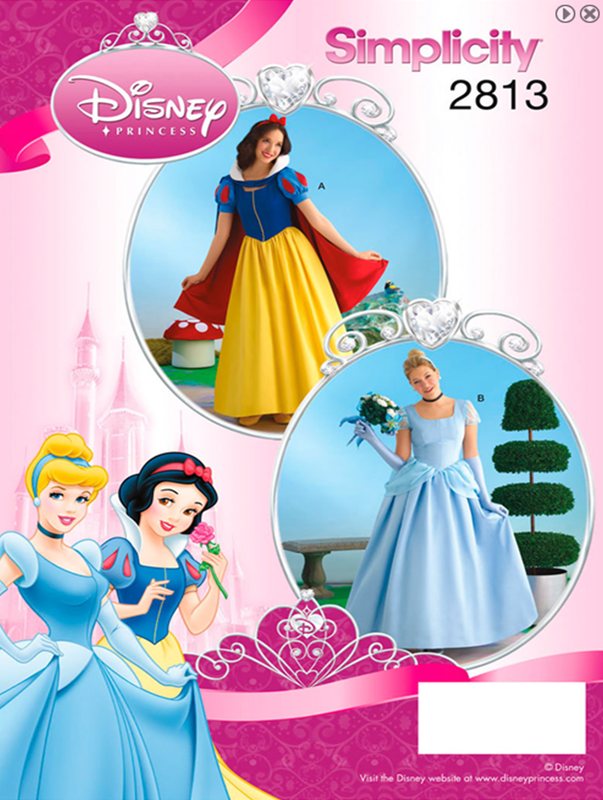 As an added bonus, it also includes a Cinderella pattern! The suggested fabric is broadcloth or gabardine -- much nicer to sew with than satin -- but it doesn't sound very princess-like. We will run out tonight and see what we can find. As long as we can get the colors right, we can't quibble about the quality of fabric available. And I promise to try to avoid writing mean things about my daughter while I spend every minute of my spare time on this. Even if I don't finish SWAP by the deadline. You are too kind Madame.